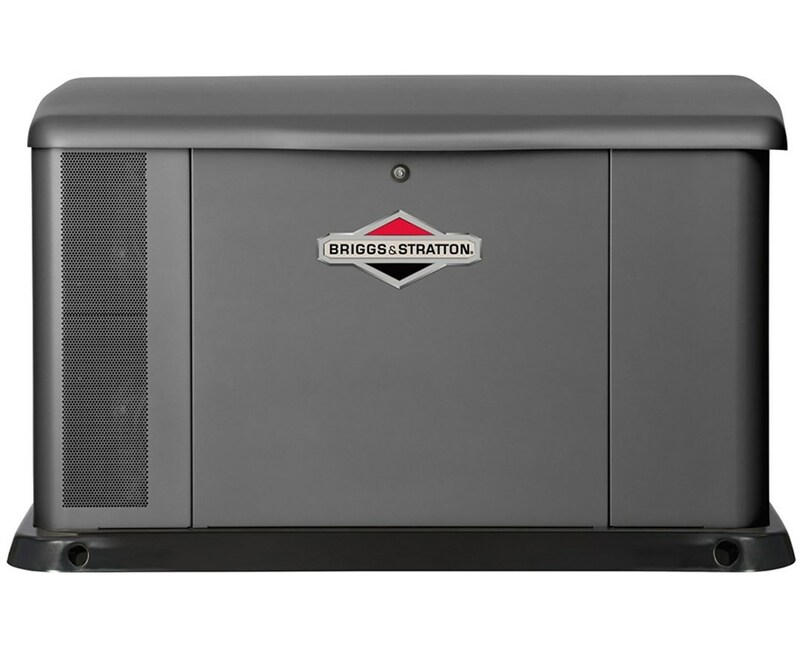 The Briggs & Stratton 17kW Standby Generator provides automatic backup power ideal for medium to large sized homes. It boasts of a powerful V-Twin OHV Vanguard engine with 993 cc displacement that can be converted easily between natural gas and liquid propane vapor during installation. This engine runs at a speed of 3,600 RPM. With its unique airflow technology, this generator is 50% quieter than most portable generators. Featuring the Symphony II Power Management System, it automatically balances electrical load including high wattage items like air conditioning units and electric ovens. Running in 120/240V AC, Single Phase, 1.0 pf with 66.7 running amps. Its controller features an hour meter, LED Digital display, Fault Code display, and Weekly Exerciser. The Briggs & Stratton 17 kW Standby Generator has a fuel consumption of 2.06 gal/hr for liquid propane and 170 ft³/hr for natural gas. Made of durable automotive grade Galvanneal steel enclosure and base, the Briggs & Stratton 17kW Standby Generator is rust resistant. Its powder-coated paint protects the generator against chips and abrasions. Certified by EPA, CARB, NFPA, NEMA and listed and rated by cUL 2200 and CSA, the Briggs & Stratton 17 kW Standby Generator has 5-year parts, labor, and travel limited warranty. 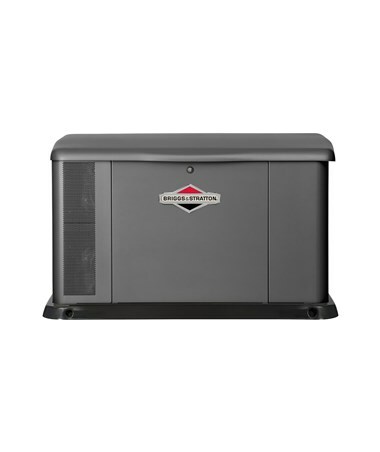 The Briggs & Stratton 17kW Standby Generator is available in five different packages. Please choose from the drop-down menu above.